To those early pioneers who made their way across the great Mojave Desert into the San Fernando Valley, one of the most welcomed sights was the tree we now call the Fremont Cottonwood. Not only were these trees, with their shining leaves shimmering in wind beautiful, but they signaled the presence of water! For those early American pioneers, the San Fernando Valley was the first abundance of water west of the Colorado River... and, the Fremont Cottonwood was signal of its presence. Contrary to what is commonly reported in the mom-and-pop museums across the West, that the Fremont Cottonwood was named by the famous American frontiersman/explorer John C. Fremont, the tree was actually named "for" Fremont by the respected botanist Sereno Watson in 1875. What is known about the Fremont Cottonwood, is that it grew on the banks of the many washes that made their way through the Valley to the Los Angeles River. Parts of the tree were eaten and used as medicine by our Native Tongva people, The inner bark of the Fremont Cottonwood was partially dried and pulled into long strands for the making of rope and possibly fishing lines. 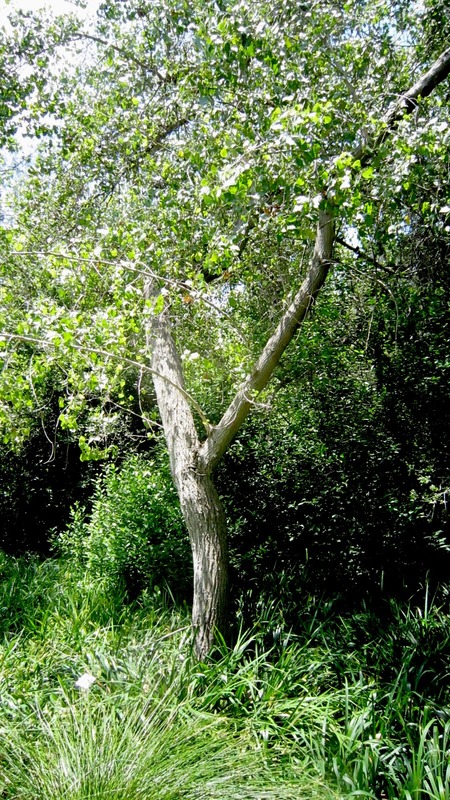 Called Alameda by the Spanish and Mexican ranchers who populated the Valley, the cottonwoods were cut for roof beams and as an easy source of fuel for kitchen fires. 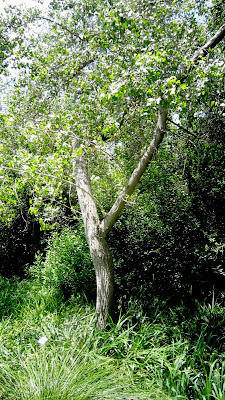 Uncut for years, the Fremont Cottonwoods used by the Tongva for the dessert sweetness of their sap, and as a gentle remedy for headaches, these trees once challenged live oaks in size. Today's examples are more modest because of their youth.